Welcome to Theosophy Forward, an independent on-line magazine looking toward the development of the Theosophical Society and the presentation of Theosophy in the twenty-first century. It is dedicated to the ideas (1) that free, respectful and open-minded consideration of possibilities is the path to sensible and effective action and (2) that the Ancient Wisdom of Theosophy can be expressed and explored in contemporary language. Theosophy Forward the magazine will be updated at least four times per year while daily updates and news items are posted on its Facebook page. Theosophy Forward encourages all Theosophists, of whatever organizations, as well as those who are unaligned but carry Theosophy in their hearts, to come together. Theosophists of any allegiance can meet and respectfully exchange views, because each of us is a centre for Theosophical work. Theosophy Forward is an independent Theosophical periodical. Thanks to the hard work of a group of dedicated volunteers its publications are made possible. 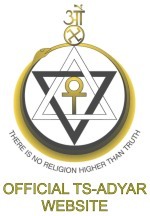 It needs to be underscored that strong ties are maintained with all the existing Theosophical Societies, but the magazine's commitment lies with Theosophy only and not with individuals or groups representing these various vehicles.